Roughly one week before Canada’s legalization of marijuana goes into effect, the U.S. government has issued a clarification to an earlier policy announcement that many feared would prevent people who work or invest in the marijuana industry from entering the country. “A Canadian citizen working in or facilitating the proliferation of the legal marijuana industry in Canada, coming to the U.S. for reasons unrelated to the marijuana industry will generally be admissible to the U.S.,” reads the clarification release on Tuesday by U.S. Customs and Border Protection (CBP). Previous statements by Trump administration officials led to concerns—and resulting pushback from members of Congress—that any Canadian who is affiliated with the cannabis industry would be barred from visiting the U.S. 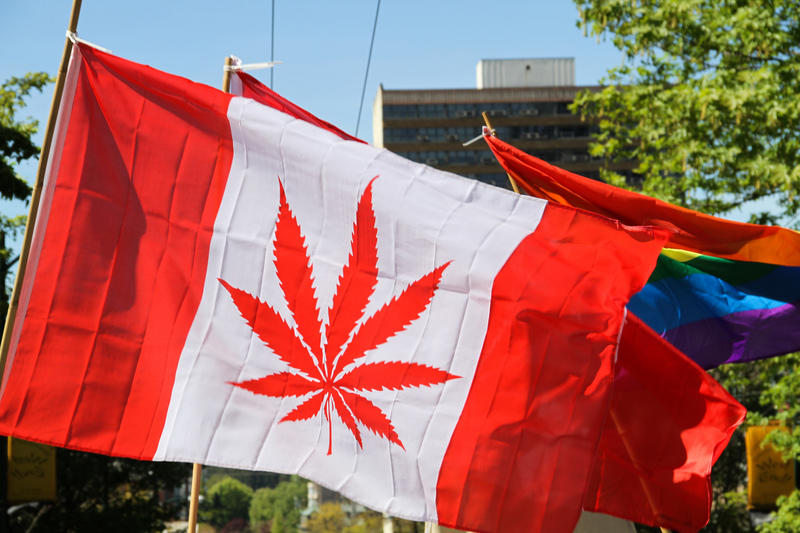 The new CBP clarification will likely be met with a sigh of relief from Canadians who work for or invest in marijuana businesses. However, the updated statement does have a big caveat. [I]f a traveler is found to be coming to the U.S. for reason related to the marijuana industry, they may be deemed inadmissible,” it says. So as long as a Canadian isn’t crossing the border for the purposes of seeking investments for their cannabis business or for other reasons related to marijuana, they should be able to enjoy a visit to the U.S.
Canada’s legal marijuana sales go into effect next Wednesday. Photo courtesy of Cannabis Culture.